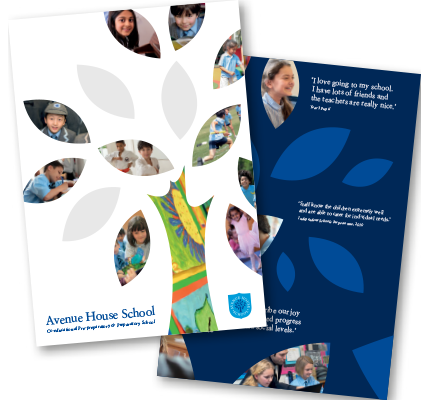 We aim to provide your child with a broad and balanced curriculum during their education at Avenue House School. English is taught using lively and creative methods through a variety of texts and resources including ICT, from Nursery onwards. Our primary aim is to develop confidence and achievement in the skills of reading, writing, speaking and listening so our children leave us with enthusiasm for English as they enter secondary education. Progress is carefully monitored and pupils are supported so they achieve their potential. Children participate in a reading activity every day and staff regularly listen to them read on a one-to-one basis. Our library is well stocked with fiction and non-fiction books and visits from authors and other interesting speakers are arranged. Early Mathematics is taught through sorting, sequencing, matching and measuring. Emphasis is placed on understanding concepts and solving problems through investigation processes. Numerical skills are developed through number bonds, learning times tables and computation skills. Through our teaching we enable children to experience success and enjoyment in Mathematics so they have a positive and confident attitude to this subject. ICT is used to support Maths teaching throughout the school and the interactive whiteboards are a valuable tool for practical activities as well as aiding children's understanding. Pupils in Years 5 and 6 have the opportunity to take part in a national Mathematical Challenge. Science stimulates and excites pupils' curiosity about phenomena and events in the world around them. We use a variety of teaching and learning styles during lessons to capture the children's interest and develop their knowledge, skills and understanding of the subject. They particularly enjoy the practical activities in each topic where they further develop lateral thinking skills. We recognise that there are children of widely different scientific abilities in each class and we ensure that we provide suitable learning opportunities for all by matching the challenge of the task to the ability of the child. Theoretical understanding is further reinforced with practical experience via school trips for example to Kew Gardens, Epping Forest and The Science Museum. 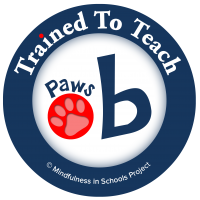 Through Personal, Social, Health and Economic Education children are given the opportunity to reflect upon their thoughts, feelings and experiences. As well as developing your child academically, we provide each child with with the tools necessary to become a valuable member of society. Learning about themselves and how to be healthy, both physically and emotionally is the starting point. They then learn to understand their role in the local and ultimately global community in which they live and to consider the contributions they can make. Whilst we are a non-denominational school, we believe that it is important for our children to have a good knowledge of the main faiths and to foster respect and tolerance for the beliefs of others. We are lucky to have pupils from a range of cultures and religions at Avenue House. We encourage children to share their own ideas and experiences, finding both similarities and differences. We welcome visitors from different faith groups and take children to visit various places of worship within the locality. Every classroom at the school has an interactive whiteboard ensuring ICT is integral to each child's educational experience. A class set of laptop computers allows each child access to the tools they need to become confident users of technology. Information and Communication Technology allows children to become familiar with and proficient in using a range of modern technology, not only computers. Whilst they learn core programs, for example creating databases, spreadsheets and presentations, they also acquire skills which can be used across the wider curriculum and which will be essential when they progress to senior school and in their future endeavours. The history curriculum covers a diverse and interesting range of topics both within and beyond living memory: Ancient Greece & Egypt, World War Two, the Race to the Moon, the Titanic and the 1980s. All topics aim to develop an appreciation of the past and its role in both the present and the future. We believe that direct experience of History outside the classroom is of paramount importance in developing pupils' interest and understanding of the subject. 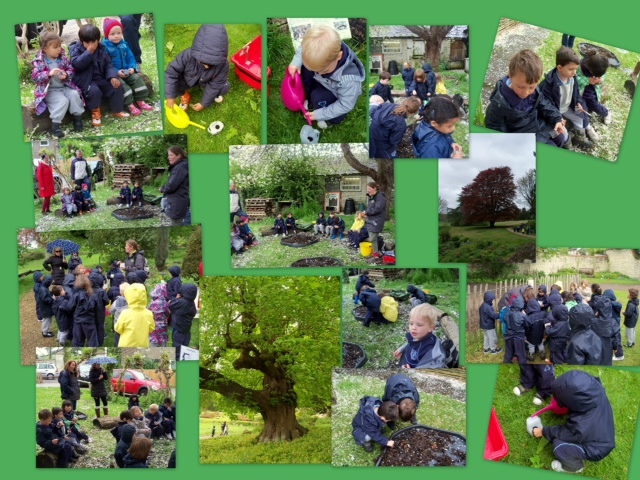 In recent years the children have participated in highly successful cross-curricular residential trips to Portsmouth and the Isle of Wight and many of the termly outings have a strong historical basis. Guest speakers, workshops and a themed day all play their role in keeping history alive at Avenue House. Geography aims to create confident citizens of the world. Pupils experience topics with a local, national and international theme. Children learn to develop an understanding of fundamental concepts, key ideas and independent thinking. We particpate in the Geographical Association's Barnaby Bear project and all the children enjoy taking Barnaby with them on their travels! Geography benefits from the school's links with charitable organisations such as 'Shelter Box', educational institutions in other countries and other school based activities. 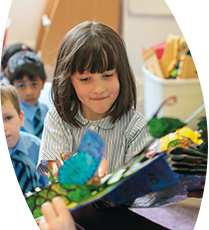 Pupils start learning simple vocabulary in the Foundation Stage and continue to develop and become familiar with the basics of the French language throughout their time at Avenue House School. We believe that the earlier a child is exposed to a foreign language, the faster the language in question is acquired and this lays the foundation for future language learning. We want the pupils to enjoy learning French and to feel confident using the skills they acquire and so it is introduced in a way that is enjoyable and fun. They gradually develop their speaking and listening skills through games, role play and the use of the interactive whiteboard. Each year group enjoys two 30 minute class music lesson per week following the Music Express Scheme. This covers all the musical elements of the National Curriculum. Please see the Extra Curricular section for more information about music at the school. Drama plays a prominent part in the life of the school. There are numerous opportunities for pupils to take part in plays, musicals, assemblies, poetry recitals, public speaking and debating. Drama activities help pupils to become articulate speakers and good listeners. The Senior Production takes place at The Questors Theatre in Ealing. We also have a weekly drama club. Art is celebrated throughout the school. With colourful displays and intricate models on show, the classrooms provide an engaging environment in which effective learning takes place. All children enjoy Art and the richness of this subject at Avenue House captivates many who visit the school. 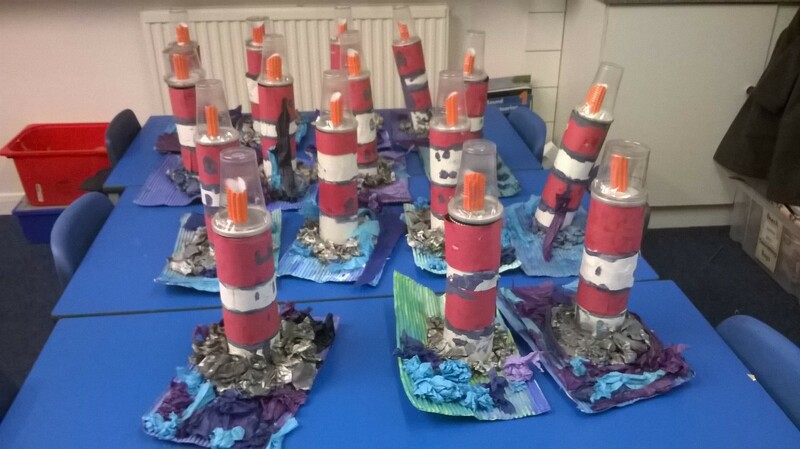 The creativity and imagination that the children are encouraged to express allows them to produce pieces of work that they can be incredibly proud of. 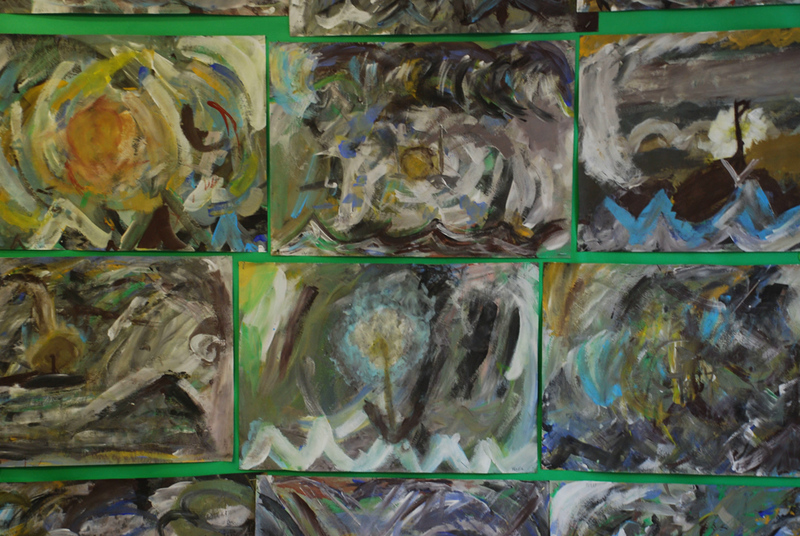 Art moves from strength to strength in the school, as was highlighted in our recent ISI inspection. The aim of all our physical activity and play is to get children confident and happy to enjoy being active now and in the future. Physical education begins with exploratory activity and constructed play in nursery, and throughout the early years and KS1. During these formative years children are introduced to music and movement, a wide variety of games and physical activity including swimming and gymnastics with apparatus. This is with a view to developing physical literacy. In KS2 the emphasis is on building a repertoire of developed abilities, stamina and skills and extending confidence. This is achieved by having fun exploring different sports, testing skills and fitness levels, and offering awards schemes; we extend this further in offering challenges through our extra curricular programme. External sports facilities are used and we enter teams into local tournaments. All children go swimming once a week. Other PE activities include a very popular annual Sports Day, House competitions and a range of educational visits and multi-activity residential trips. Our commitment is to provide each child with a core of physical literacy, a broad based experience and the confidence and desire to enjoy keeping fit and to participate in physical activity in their future.